Regional Express (Rex) has reported a 34 per cent lift in full year profit in 2017/18 and expects a further double-digit increase in the current year amid an improving Australian economy and despite near-term challenges such as higher oil prices and a global pilot shortage. Australia’s largest regional carrier reported net profit of $16.9 million for the 12 months to June 30 2018, up 34 per cent from $12.6 million in the prior corresponding period. The result was above company forecasts of a 20 per cent improvement. Revenue rose 5.2 per cent to $295.5 million, Rex said in a regulatory filing to the Australian Securities Exchange (ASX) on Wednesday. Rex executive chairman Lim Kim Hai said it was a strong performance in 2017/18 and the airline group had the ability to cope with challenges such as pilot shortages, rising oil prices, a weaker Australian and the drought. “I am quietly confident that we have the wherewithal to withstand the storm if it does materialise,” Lim said in a statement. Profit before tax increased 40.8 per cent to $25.1 million. Rex carried 1.227 million passengers in 2017/18, an improvement of three per cent from the prior year. A slide presentation accompanying Rex’s full year results showed annual passenger numbers were now almost back to the same levels as in 2010/11, when the airline carried 1.201 million passengers. From 2010/11, passenger numbers declined all the way through to 2014/15 when they bottomed out before rising steadily to every year since. “That reflects a number of things, one of which is that the economy has generally speaking been getting better,” Sharp said. 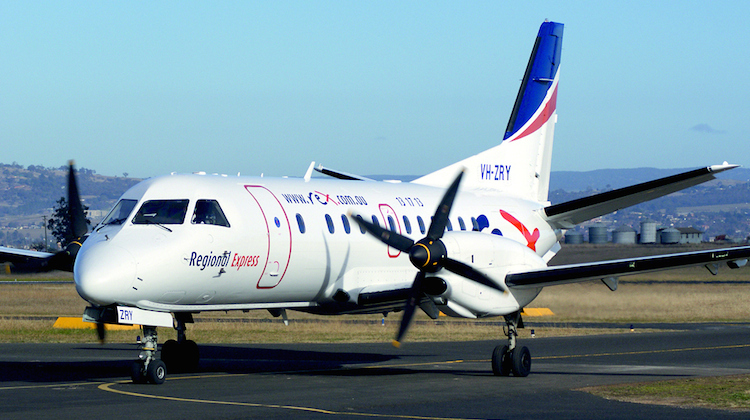 Rex carried more passengers despite a capacity reduction, measured by available seat kilometres (ASK) 3.5 per cent in the year as it ended flights such as Sydney-Taree and Dubbo-Cobar, as well as reduced its Adelaide-Mount Gambier schedule. Sharp said the reduction in ASKs was due to a shortage of pilots. “Therefore, we’ve had to reschedule our services and that means we’ve actually done a little less flying,” Sharp said. Sharp said global pilot shortage had affected Rex’s cancellation rate, which increased from 0.8 per cent in 2016/17 to 1.3 per cent in 2017/18. While it was below the other two regional carriers QantasLink at 2.3 per cent and Virgin Australia Regional Airlines (VARA) at 2.6 per cent in terms of cancellation rate, Sharp said Rex’s cancellation rate was still too high. Lim thanked Rex’s pilots for helping to minimise cancellations. “I would like to single out the pilot group in particular who has accepted last minute call-outs so that regional passengers do not miss their hospital appointment or that important business meeting,” Lim said. Rex said its average fare rose 1.2 per cent to $216.40, from $213.9, while load factors improved four percentage points to 61.3 per cent. Revenue per available seat kilometre (RASK), a measure of demand, was up eight per cent. Sharp said there were too many uncertainties in the external environment to provide a “reliable profit forecast”. Nonetheless, the performance of the airline group in the first two months of 2018/19 has been strong, which Sharp said gave the board “grounds to believe the group will still achieve double-digit growth in the course of the coming financial year”. “We actually see our revenues growing, our profits growing and we think in terms of double digits, which means 10 per cent or better,” Sharp said. Rex would benefit from the start of new services from Perth to Canarvon and Monkey Mia. The airline won the tender to operate the West Australian government regulated routes in January and flights began in July. Further, the ongoing economic recovery in Australia was also a positive. By contrast, the prospect of further increases in global oil prices – Rex’s total fuel bill rose 5.7 per cent in 2017/18 – a weaker Australian dollar and the pilot shortage represented potential headwinds alongside the severe drought in parts of the country. “We expect that there will be further increases in fuel prices, or at least we think there’s a strong chance there will be,” Sharp said. Sharp said the possibility of a “trade war” between the United States and its major trading partners also added some uncertainty to the outlook. The company declared a final dividend of eight cents per share, fully franked.